Pusha T may now be one of the biggest rappers out here and the President of G.O.O.D Music, but the rapper like most of the leading men in the rap game had a pretty tough time climbing up the rungs of the ladder to fame and fortune. How did Pusha T finally find his way to the top? Read on to find out more about the rapper’s biography and the woman he finally selected to share his life with. Pusha T was born with the name Terrence LeVarr Thornton on the 13th of May, 1977. His place of birth was the Bronx borough of New York City, but his family relocated to Virginia Beach in Virginia soon after he was born. It was there that Pusha and his brother Gene Thorton were raised. The brothers got into the drug business when they were only teenagers. Gene bore the brunt of their parent’s wrath because he was the one who was found out and he got kicked out of the house. The brother’s closeness did not seem to be affected by the trouble and in 1992 the two started to pursue a career in hip-hop coming together to form a duo group known as Clipse. After forming Clipse they were fortunate to get introduced to Pharrell Williams. The record producer introduced them to Elektra Records and helped them secure a recording contract from the record company in 1997. Following the signing of the contract, the duo immediately started working on a debut album. They recorded the album, but after the one single that they released failed commercially, the label canceled their album release and after a little while dropped them. Pusha T still managed to score quite a number of features on the song of other artists despite no longer having a label. The setback was not to last long as Pharell Williams once again stepped up to sign the brothers to Arista Records in 2001. In 2002 Clipse released their debut album which they titled Lord Willin. It had some commercial success coming out at the number 1 spot on Billboard’s Top R&B/Hip-hop Album chart and #4 on the Billboard Hot 200. Unfortunately, shake-ups and changes in the label left the group shortchanged and in 2004 the brothers launched their own record label imprint that they named Re-Up Records. They also put together another hip-hop group with the inclusion of Ab-Liva and Sandman that they called Re-Up Gang. After all the hard work of making a name for themselves, in 2010 Pusha T took his solo act to greater heights when he signed with Kanye West’s label GOOD Music. He featured Kanye on his My Beautiful Dark Twisted Fantasy album and in 2011 he released the first mixtape from the label named Fear of God. It was also announced later in 2011 that he was signed by Def Jam. He still reunited with his brother after his first solo album from GOOD, and the two released another album. Outside his brother and other members of the Re-Up Gang, Pusha T has continued to collaborate with some of the best artists in the game including top producers and rappers as Future, 2 Chainz and Timbaland. Pusha T’s incredible career both as part of a group and as a solo artist has gotten him an estimated net worth of $15 million. No doubt, Pusha has worked hard for all that money putting up with a lot of years of difficulty, he is now enjoying every bit of his deserved wealth. Pusha T got married to his longtime girlfriend, Virginia Williams, on July 21, 2018. The two had been together for over a decade before the rapper popped the question on the 22nd of July 2017. They met in 2006 when Pusha had his Hell Hath No Fury album release party. Their wedding which was well attended by the celebrity class saw Pharell Williams acting as Pusha’s best man at the private ceremony in Virginia Beach, Virginia. 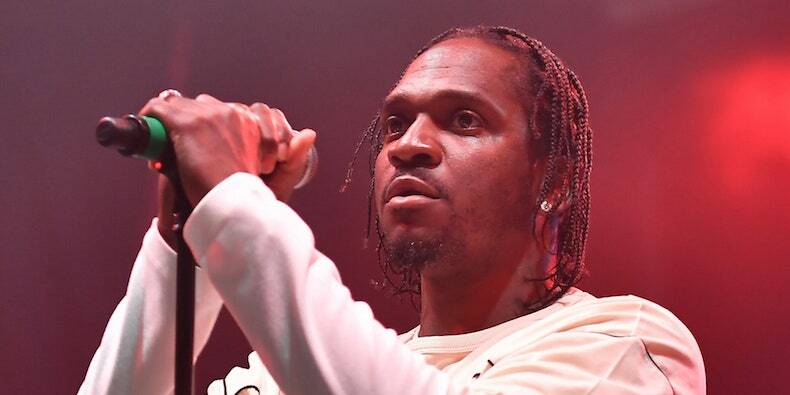 Pusha T has had some well-documented controversies starting from that of former GOOD Music label-mate Consequence, who accused him of using his flow and lyrics to make a song. Another prominent one was the feud that cropped up between him and Drake that led to the two trading disses in songs.